More Teachers! Only PEF can raise these funds. PTA’s and Booster Clubs cannot. PEF believes more teachers equals better class sizes which means a better learning environment for your child. Surveys have indicated that parents rate class size only second in importance to school safety! Teacher Grants! 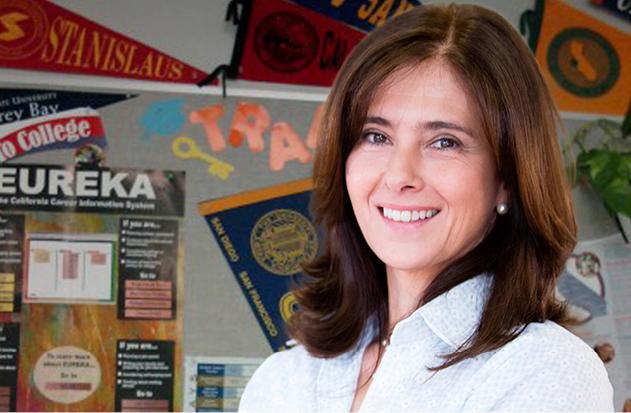 PEF’s Chuck Miller Grants allow teachers to receive funds (up to $1,000 each) to offer projects that promise a unique learning opportunity for students. Any teacher in the PVPUSD is eligible to apply. 33 teachers were awarded grants for the 2013-14 school year. 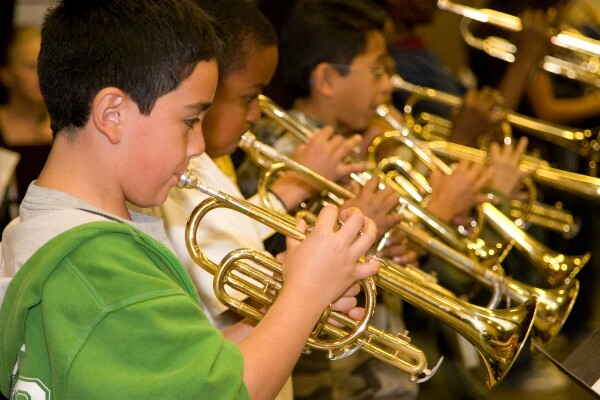 Music Programs: From Kindergarten classroom music to choral music and instrumental music, it’s important to put music in our students hands (and minds) early and often. It has been well-documented that early music education helps improve math performance. Physical Education (PE) — New for 2013-2014. If you’ve noticed parents helping with P.E. lessons at elementary schools in the last few years, you’re not alone. PEF noticed too and has stepped up to help. PEF now funds qualified P.E. instruction at all elementary schools. The P.E. program uses the SPARK curriculum, which is designed to be highly inclusive, active and more fun than traditional P.E. classes. Library & Media Aides are essential for Elementary Schools to keep libraries open and to keep computer labs running and accessible. In addition, Library and media aides teach our kids how to research, a skill they’ll use for a lifetime. STEM (Science, Technology, Engineering and Math): Middle School is a critical point for our students. Learning through fun, hands-on projects helps them see how they can make pioneering contributions to our world through engineering one day. The STEM program offers classes ranging from Design and Modeling to Robotics and Space & Flight in preparation for our district’s award winning high school engineering programs. This program is a standout in another way too — with 25% of the students participating being female, which is high for such programs. 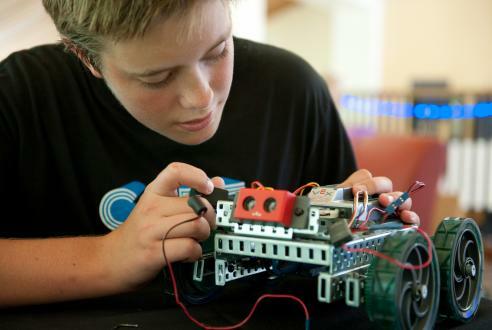 PVPUSD’s STEM program is made possible through a founding grant from American Honda and PEF. Safe Schools Counselors: These specially trained counselors help middle schoolers with difficult life issues as well as providing that all-important “ounce of prevention.” Safe School Counselors play an important role, from bullying prevention programs to drug and alcohol abuse prevention programs and parent education talks on issues facing our pre-teens and teens. While government funding for Safe School Counselors stopped seven years ago, the district and PEF realized these were key staff positions to save. College & Career Center Staff: provide a full range of college admission information and activities including guidebooks for parents, College Admission Testing study guides and practice tests, financial aid and scholarship information, career guidance and workshops for parents and students throughout the year. Our outstanding College & Career Center staff also arrange for Admissions Representatives to visit our high schools from over 100 colleges and universities . Engineering Programs: PVIT (Palos Verdes Institute of Technology) at Palos Verdes High School and SMERT (Science, Math, Engineering and Robotics) at Peninsula High are some of the most highly regarded high school engineering programs in the nation, regularly producing competition teams that place well, often higher than university teams. This seven class series meets UC/CSU requirements and has launched many of our graduates into prestigious university engineering programs. Academic Counselors help students and parents acquire necessary information to set goals and make decisions regarding scheduling and academic planning. Academic Counselors also help identify students at academic risk. They offer counseling, programs and parent education talks to help students develop executive level functioning skills like self-advocacy and time management.